An array of voicing and aesthetic enhancements brings a new level of sophistication to our top class of rosewood/spruce acoustics. On the Grand Concert 912e, the playing comfort and sonic focus of the smaller body now yield a surprising level of midrange warmth, treble boldness, and overall volume and sustain, making this a more musically expressive guitar for fingerstyle players and light strummers. The contoured ebony armrest supplies a beautiful ergonomic touch that elevates both the playing experience and aesthetic. Other refined details include ebony binding, koa purfling, and abalone and mother-of-pearl inlay and trim. With Taylor’s Expression System® 2 pickup, you can expect warm, clear amplified tone. 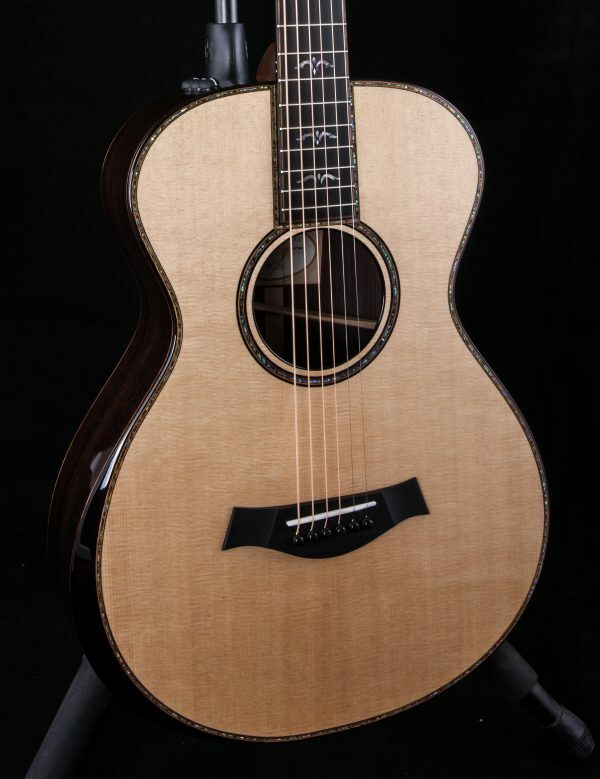 The guitar ships in a Taylor deluxe hardshell case.